And then sometimes I make recipes and add extra things and the it turns out AMAZING! Well, loves, this is one of them. Sometimes in the morning as much as I wish I could sit and have a leisurely breakfast it just doesn’t work out that way. So this morning power coffee has just enough in there to last me through to a mid morning snack and then to lunch. 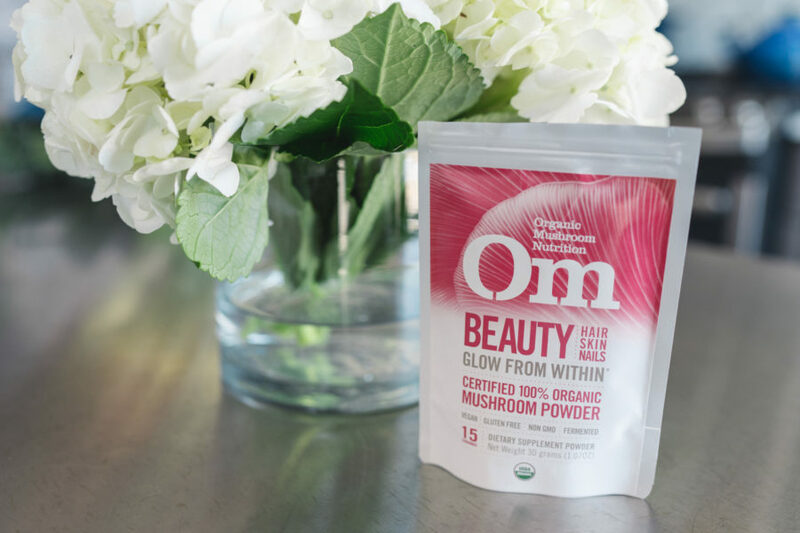 It has some super clean protein from Vital Proteins Collagen and some incredible healing powers from what I refer to as magical mushrooms from a company called Om Mushrooms. These mushrooms are called adaptogens. They are called this because they adapt to your body and help heal and balance it in the way it needs! Adaptogens can help with everything from cognition to liver health to helping with cancer and tumors. These mushrooms have been used for centuries and are now, finally, making it into the spotlight and I couldn’t be happier. Using natural foods in lieu or in addition to medication to help heal your body is a wonderful thing! For more information on adaptogenic mushrooms check out my contributor Lauren’s post on a handful of the most common adaptogenic mushrooms here. For this recipe I chose to use Reishi. Reishi is known as the queen healer and it pairs beautifully with coffee (as well as chocolate) so of course it’s perfect for Morning Power Coffee! But there are a myriad of other adaptogenic mushrooms that would work well here, also. Lion’s Mane and Turkey Tail are two others that you can easily find but many more are available through Om Mushrooms, my favorite company for adaptogenic mushrooms! Head to my YouTube Channel to watch me make the recipe and then come back here for the ingredients and the quantities. I’m sure this drink will help you power through your day the way it helps me with mine! happy eating is the best eating! Add everything to a blender and whir up until smooth and frothy. Enjoy immediately and feel the power!